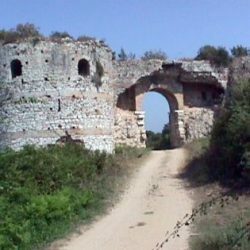 is situated 68 Km Northwest of Preveza city and 50 km Southeast of Igoumenitsa. 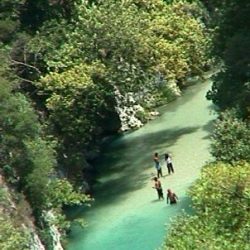 It administratively belongs in the Prefecture of Preveza, in the region of Epirus. 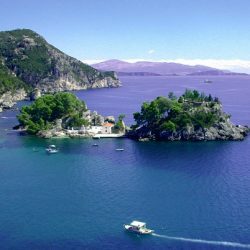 Parga is one of the more beautiful coastal cities of Greece, with particularly islander colour. 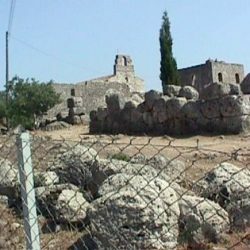 The graphic city with its narrow stone-built streets, a resort today, is stretched out under the shade of Medieval fortress, from where the view to Ionian sea and to the islet of Virgin Mary with the white church is unique. Since 1992 Thanasi Avloniti's family has managed to present the fine, according to EOT standards rooms to let, which are very close to the beach of Krioneri. I wish to thank all the staff for making my stay so enjoyable. I cannot think of a place where the people were so friendly and helpful. I am recommending your hotel to all I meet and hope that I am able to return some day. Very very beautiful place ! And the staff is effective, polite & friendly.I will definitely be returning very soon! Hi, Myself and five friends recently stayed at your hotel, I can honestly say that it is the best hotel we have ever stayed in.